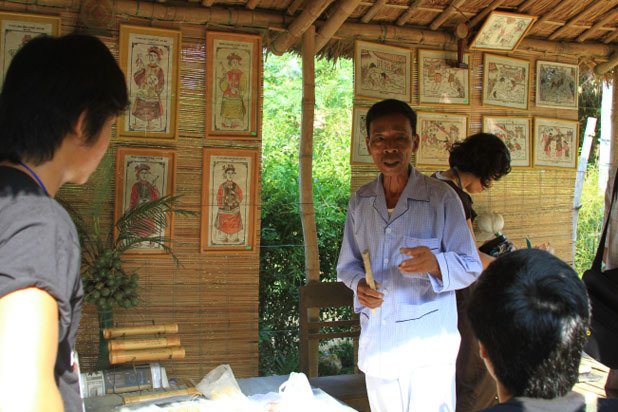 Help preserve and revive a unique traditional painting art in Hue. Get your hands on creating a colourful folk themed picture with an interesting wood block. 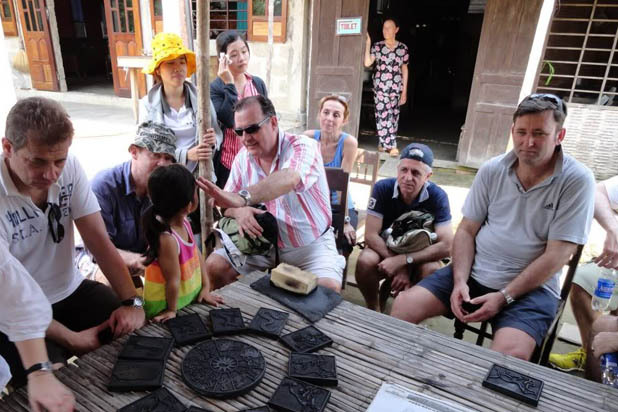 Where is Hue traditional painting village ? 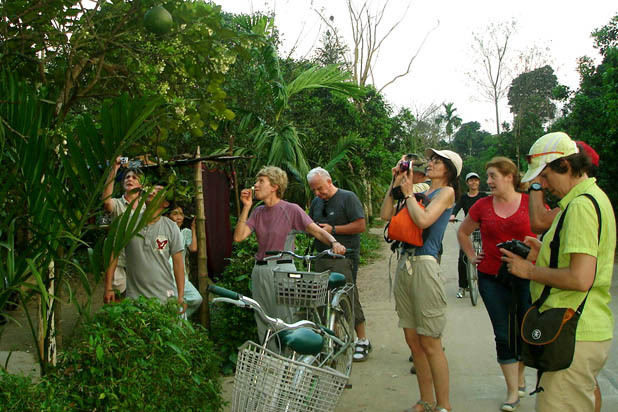 Sinh village is 7km to the east of Hue centre. This little village once was very famous for making folk paintings used in ancestral worship. 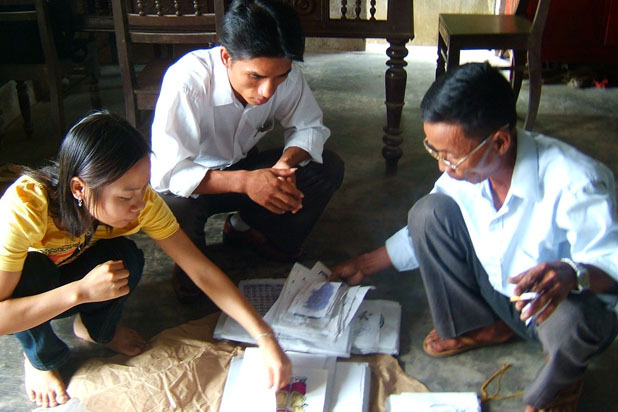 Now, only few families keep this traditional handicraft, but the technique is preserved intact. 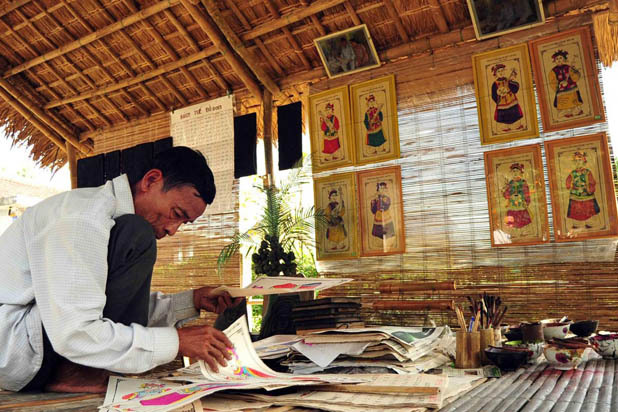 Sinh painting is an art form of folk painting in Vietnam. 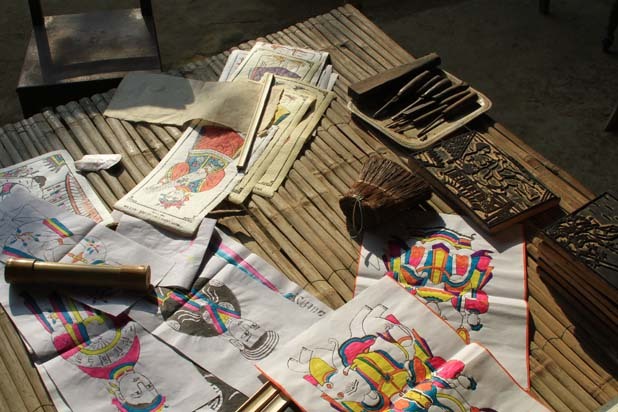 This kind of painting is printed from folk woodblock and used for worshipping in Hue. 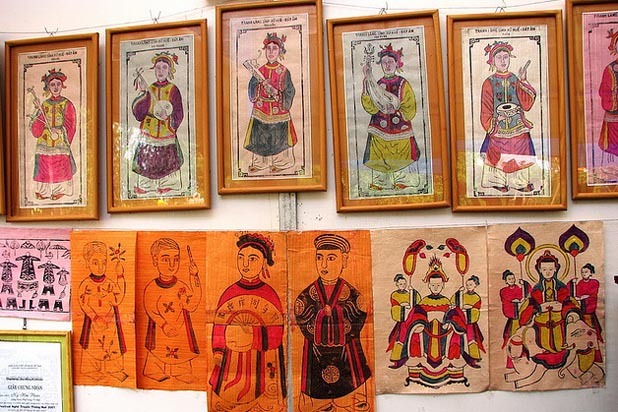 This is the difference between Sinh painting and Dong Ho or Hang Trong traditional paintings in Hanoi, which are mainly used for decoration. 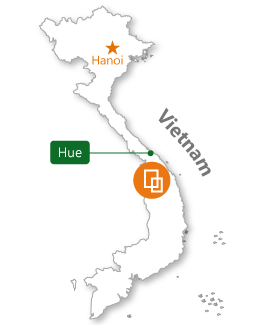 Hue cuisine is the best in Vietnam. 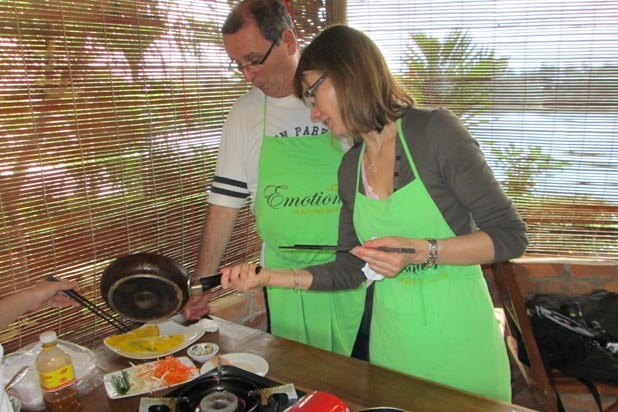 Three different strands of food, namely royal, fork and vegetarian cuisine contain simple ingredients, but delicious taste. 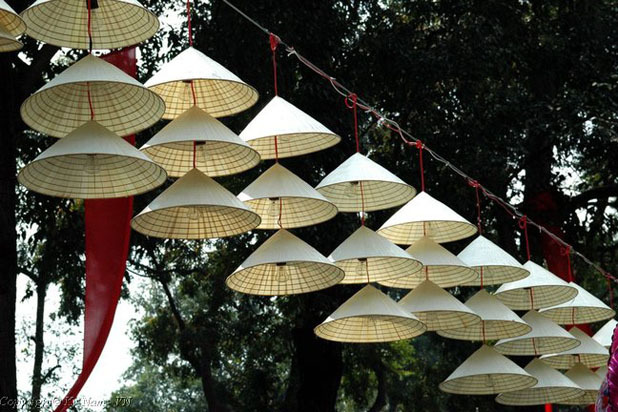 Discover the secret behind the symbol of Hue, the “Non Bai Tho” or literally the “poem conical hat”. 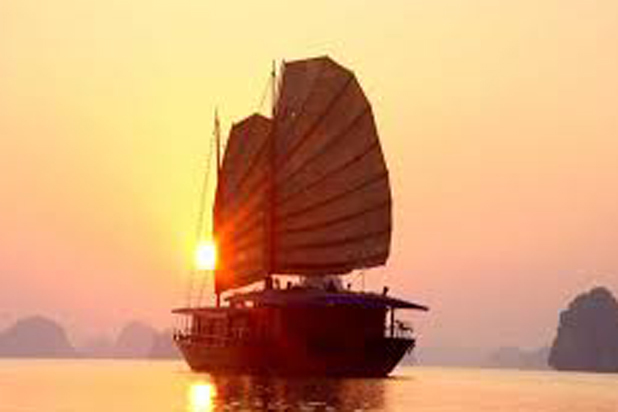 It is also an icon of Vietnamese culture. 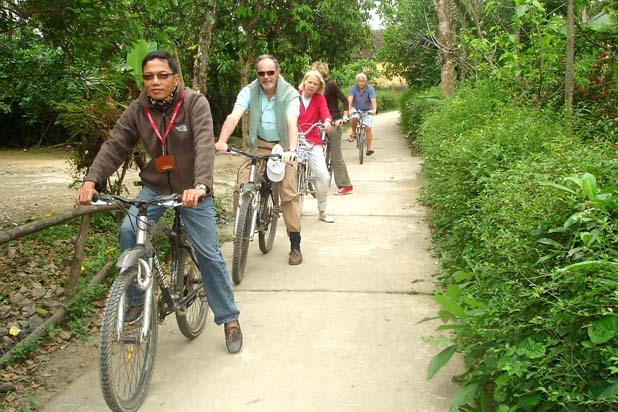 See another side of Hue on a bicycle: rustic, peaceful and little known. 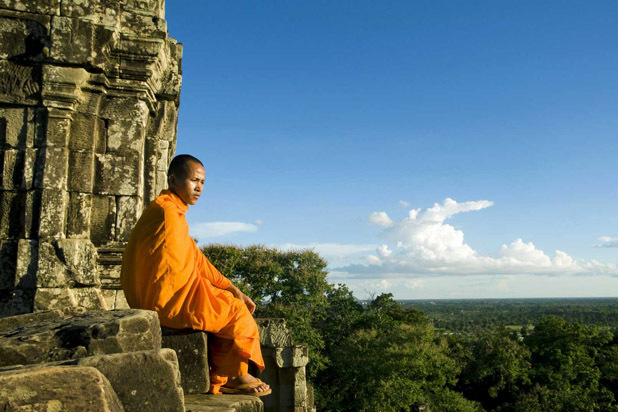 Rich in traditional culture, the countryside of Hue has a lot to offer.